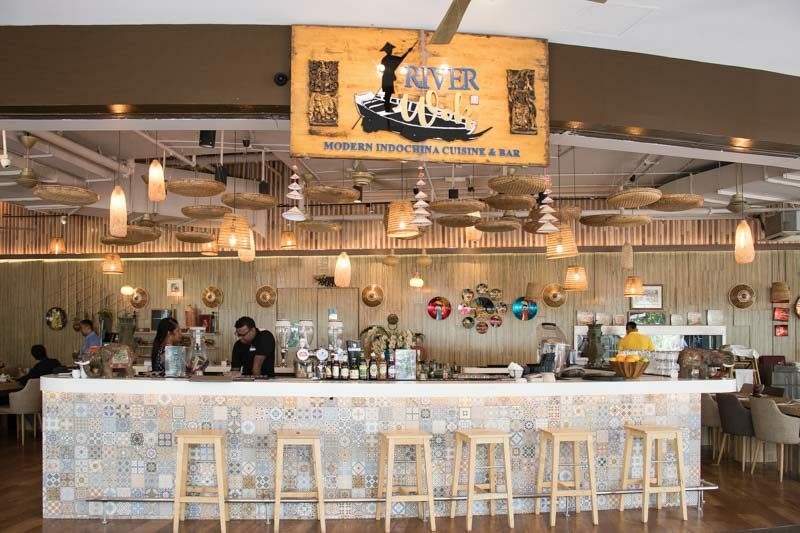 Our Singapore River runs through more than just a landscape that sees a diversity of businesses; it is also the backdrop for numerous restaurants that have rooted themselves along its bank. Newcomer River Wok along Robertson Quay may only be a few months old, but its unique mix of Indochina cuisine is representative of the many cultures that make up Singapore’s heritage. The space is open and flooded with natural light, making it very welcoming. The overarching use of bamboo and light brown hues gives the area a sense of calm, even when the hungry crowds come in by the dozens. 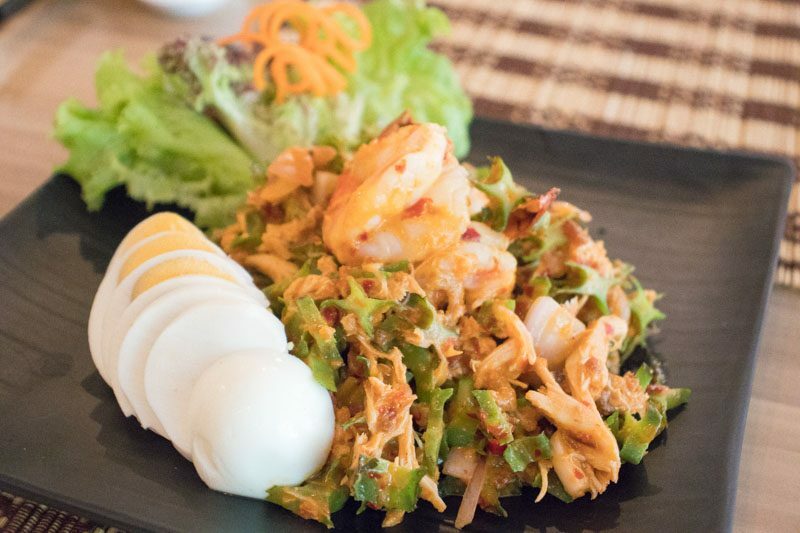 Deviate from the usual leafy salad with their Yam Tuapoo Goong Sod ($16), a wing bean-based salad with prawns, shredded chicken and boiled egg. There was a slight heat in every bite that came from the use of chilli paste, coupled with a fatty mouth-feel from the coconut cream. The flavours were quite savoury, and would probably even be satisfying enough on its own for those looking to have a quick and small meal. 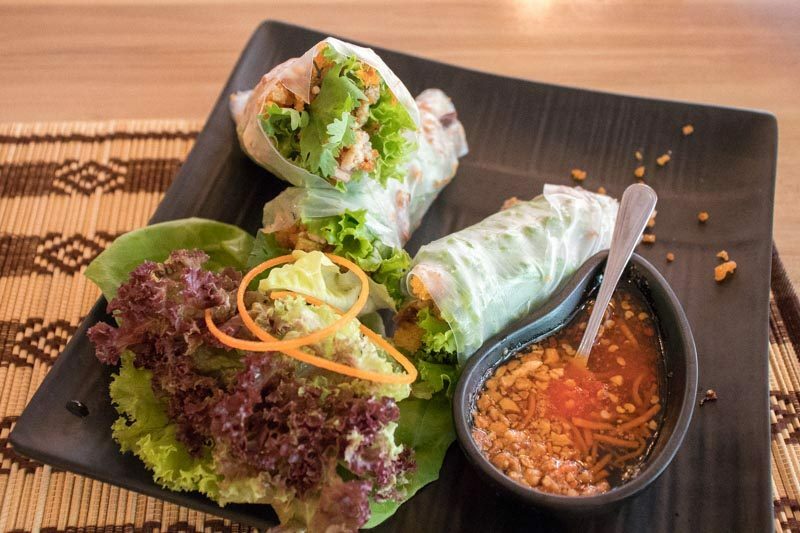 Fans of Vietnamese spring rolls will love this updated rendition, which Executive Chef Kantha Chookiat has introduced to River Wok. The Nam Khao Hor ($10 for vegetarian/$14 for chicken) contains minced chicken with roasted rice crumbles (aka rice crispies!). The lemon marinade made for a sour finish, but with a little dippin’ in the sweet chilli sauce, balance in flavours and acidity was restored. 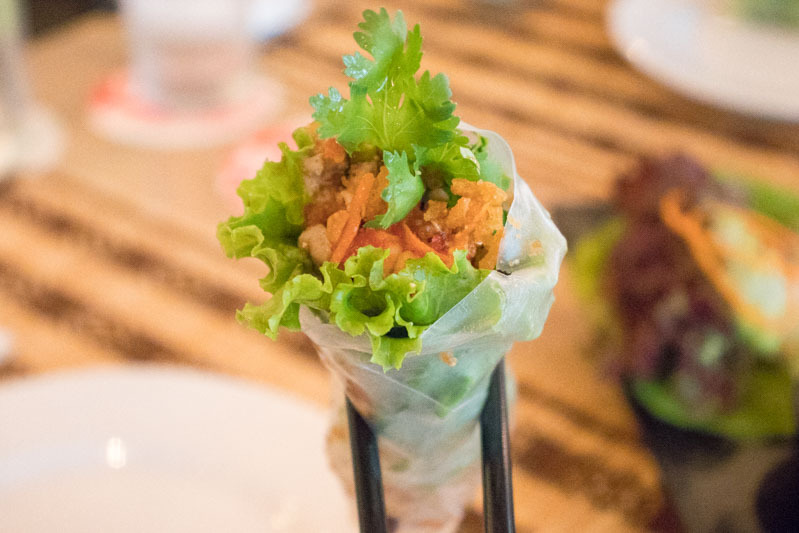 Of course, the addition of rice crispies really made the spring rolls a sheer joy to finish off. Hailing from Indonesia, the Sop Ikan Batam ($12) packed a punch. 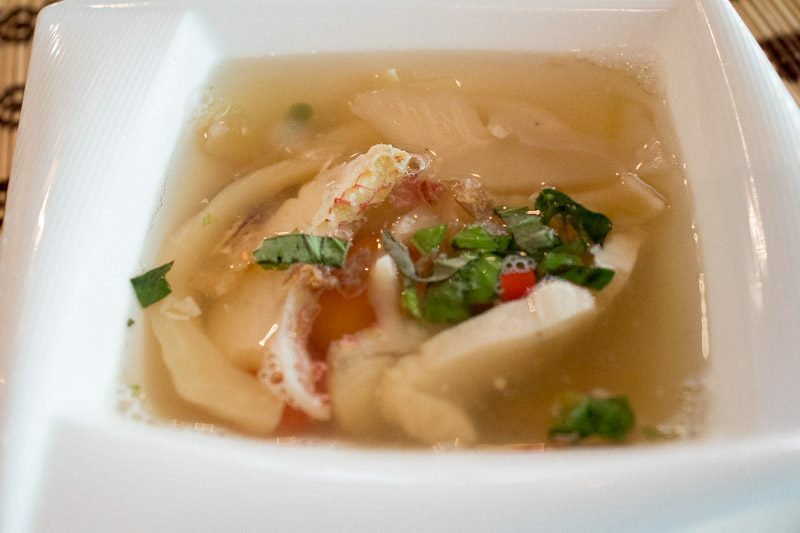 It uses red snapper fillet and pickled mustard, tomatoes, fried onions, all swimming in a lemon basil soup. 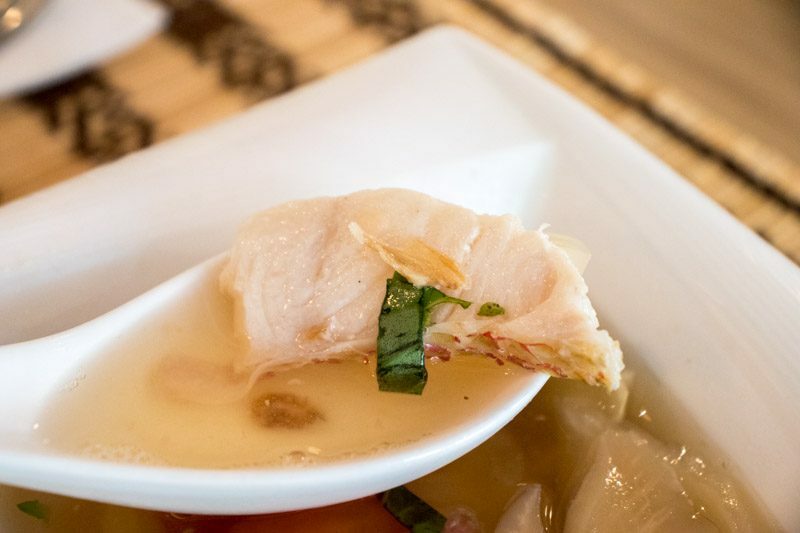 The red snapper was very flaky and sweet, and when sipped with the soup, it evoked a sense of comfort — one that resonates with home-cooked dishes. It was a little spicy, but if you can’t live without your chilli padi, this is a side dish you have to try. 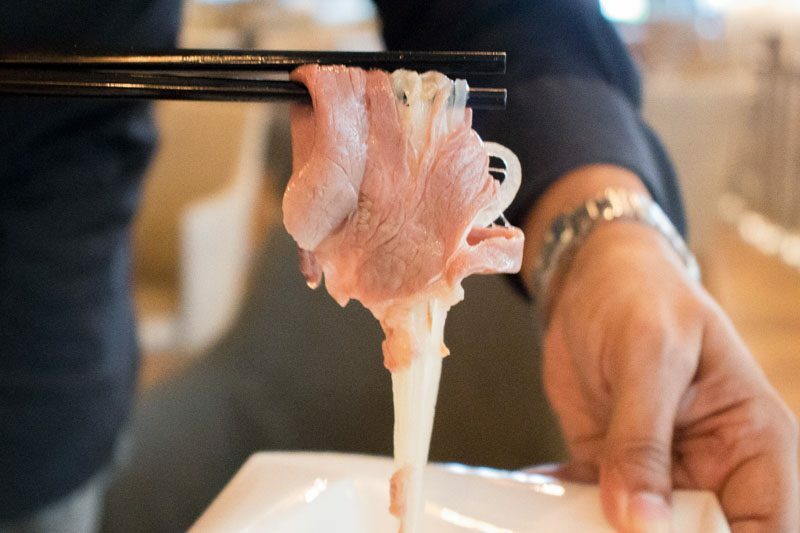 Tired of regular pho? 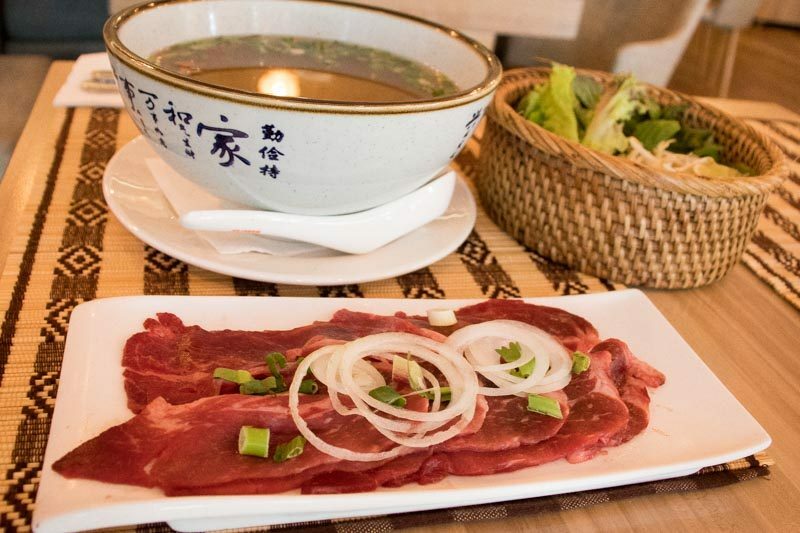 Then the Pho Bo (Wagyu) ($26) is one way to renew your love for this classic dish. Served with raw slices of wagyu, the broth came piping hot so that I could cook the thin slices right at the table. 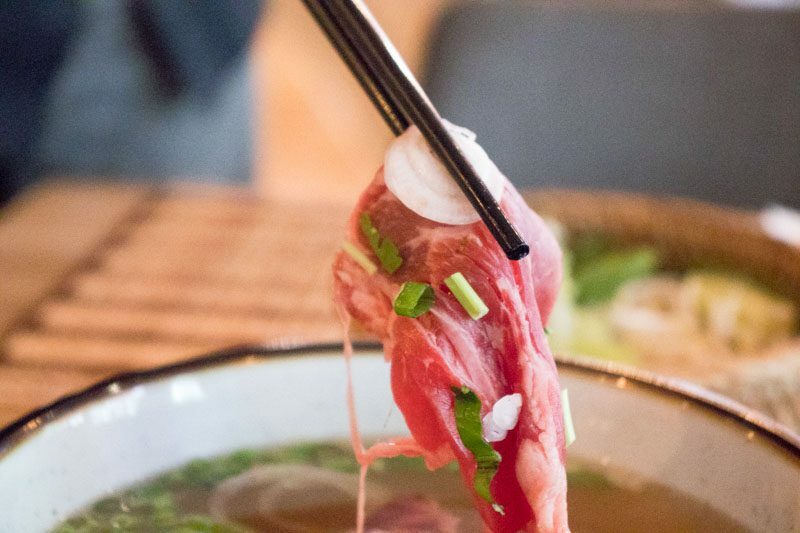 The wagyu was tender and succulent, but the broth itself lacked depth — which is disheartening considering the price point, and the fact that I was so hoping an elevated pho would win me over. Of all the dishes I had the chance to taste, this one floored me. 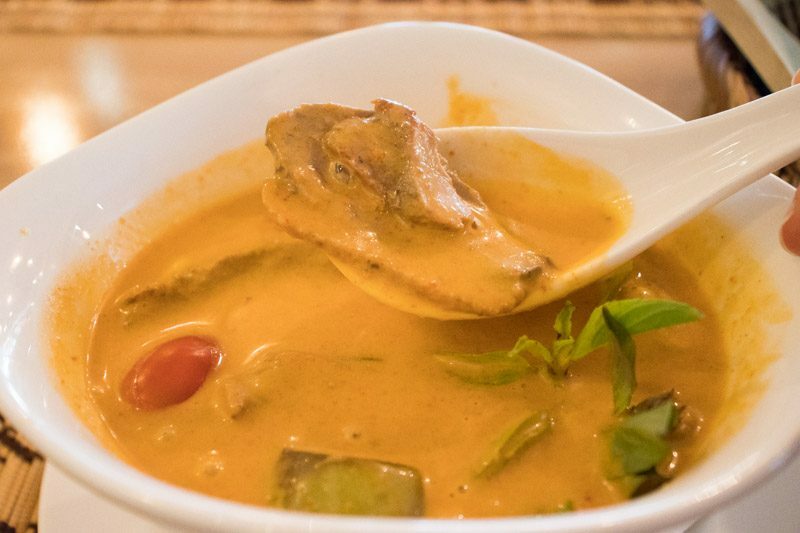 The Gaeng Phed Ped Yang ($22) is a duck red curry that hides yet another surprise from Chef Kantha. Upon the first slurp, it was sweet and creamy. After fishing around the bowl to decipher the ingredients, I discovered that the sweetness came from pineapples and grapes! What I loved, even more, was how mild the duck tasted — a plus point for those who are not a fan of gamey meats. The curry was very filling, but that didn’t stop me from polishing off as much as I could, in spite of my satiety. 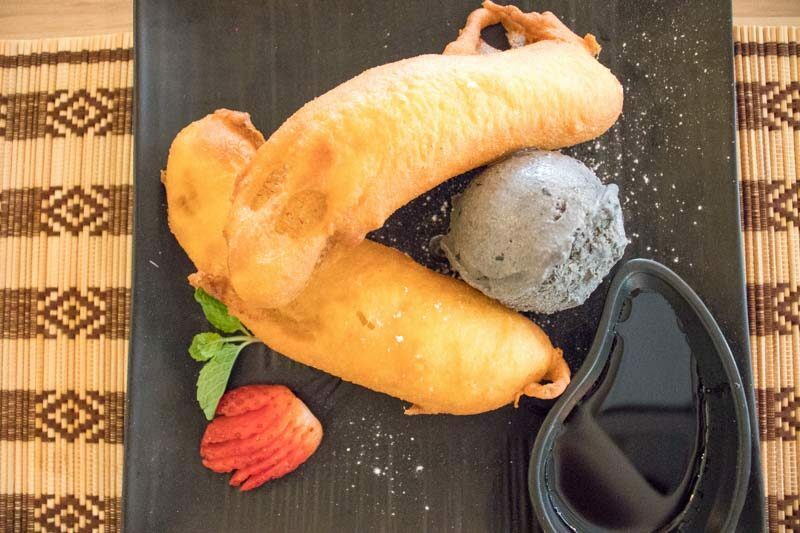 Who doesn’t love a good ol’ banana fritter? The Banh Chuoi ($12) comes with black sesame ice cream, and the one I had used semi-ripe bananas. Although I would have preferred the use of super ripe bananas, these were still adequately sweet and the choice to pair them with black sesame ice cream contributed to a smoky aftertaste. I couldn’t leave without having the elementary — Khao Neow Ma Muang ($10), or simply known as mango sticky rice. 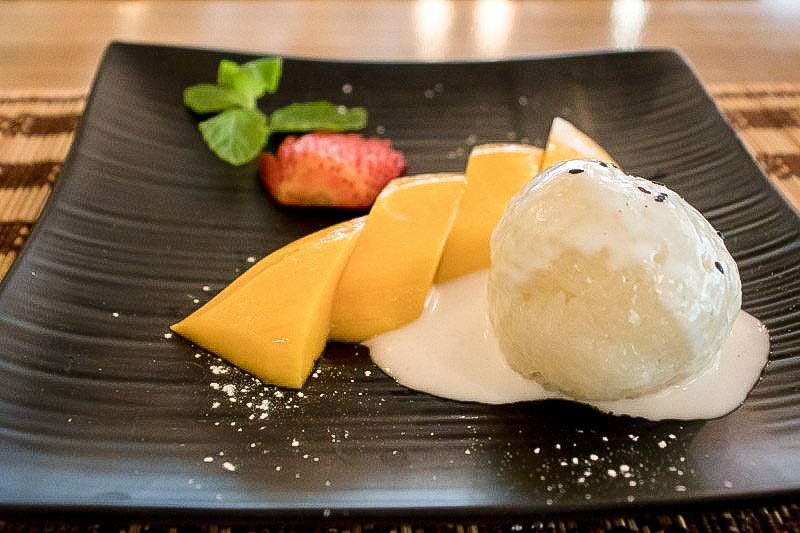 The sticky rice was served as a small sphere, which did make it different from other places. However, taste-wise, it was average at best and didn’t wow me at all. 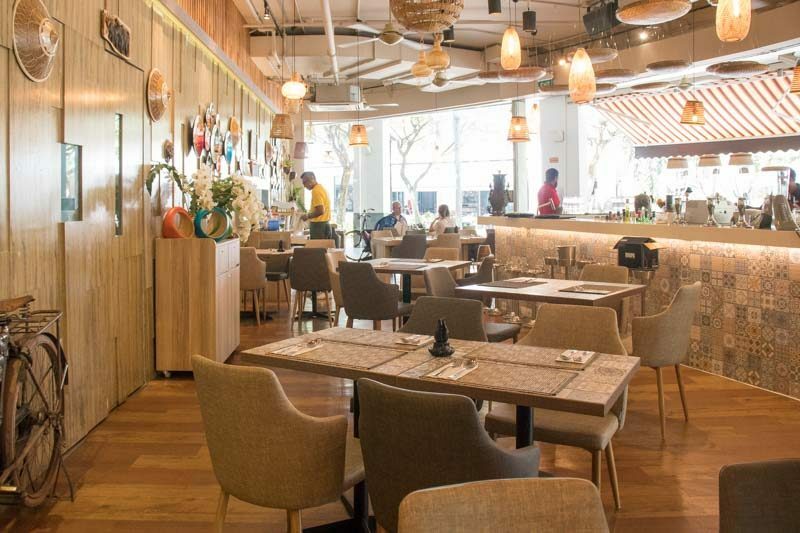 The ambience and location of River Wok can’t be beaten, given its close proximity to the Singapore River. 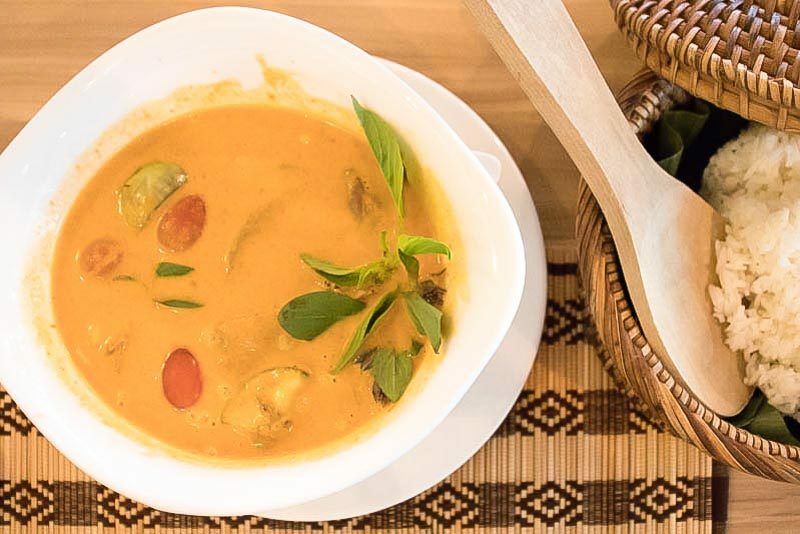 Whether you’re local or just passing through town, you’ll thoroughly enjoy the assortment of dishes as well as the distinct flavours, as they highlight the best of Indochinese cuisine.